The Fiji Pearls Netball side play hosts Papua New Guinea in the Gold medal playoff at the Pacific Games today. The Kate Carpenter coached side defeated Samoa 63-48 in the semifinals last night. Both, the men’s and women’s, Hockey teams are into the final and are favorites for the Gold medal. The women’s side thrashed Tonga 21-1 in the semifinals and will play PNG in the final. The men’s side face off against Vanuatu in the final. The Fiji Men’s beach Volleyball side play PNG in the final today. The pair of Waisale Suka and Waisea Raratabu defeated Tonga 2 sets to nil in the semis yesterday. 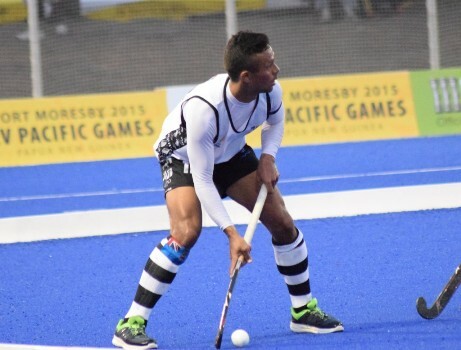 PNG had defeated Fiji in pool stages of the competition. In men’s football, the Fiji under 23 side went down 2-1 to PNG in the Bronze medal playoff. New Caledonia won Gold after defeating Tahiti 2-0 in the final.